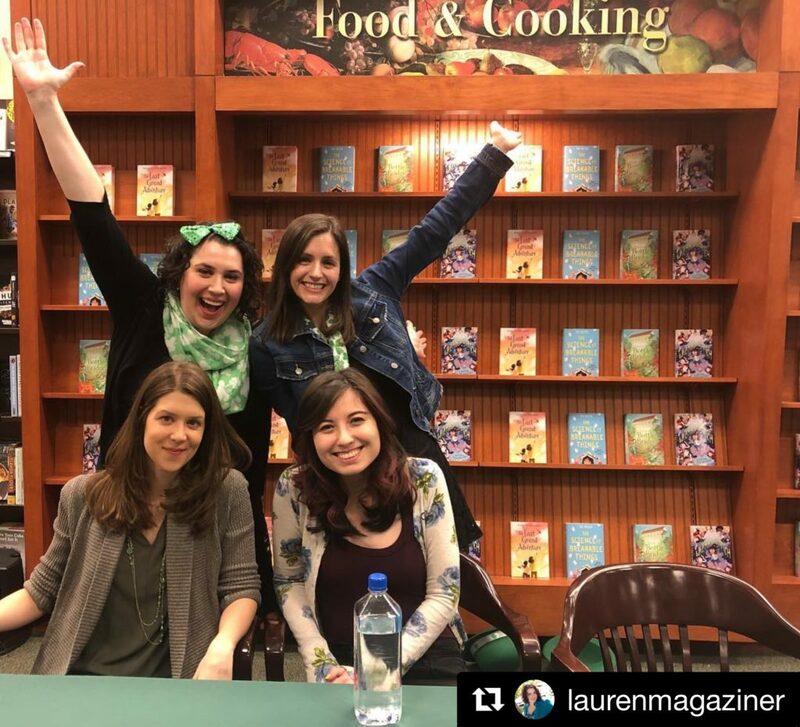 I got to share The Last Grand Adventure a little early with readers at Barnes & Noble Neshaminy in Bensalem, PA. Lauren Magaziner, Tae Keller, Jessica Lawson, and I had a lot of fun answering questions and tackling truth-or-dares. 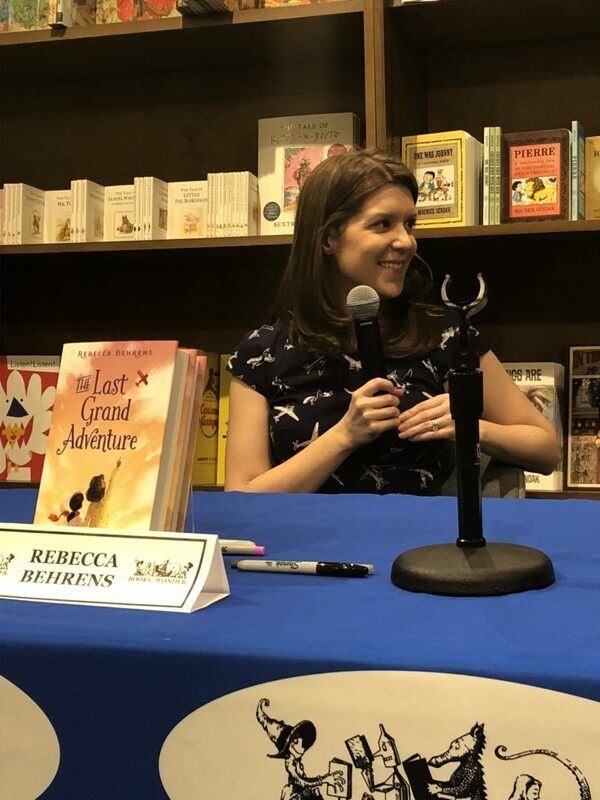 On Saturday, March 24, I officially launched The Last Grand Adventure with the help of the fantastic Claire Legrand, at Books of Wonder’s new Uptown store. We had a great talk about writing quietly adventurous MG characters and our own travel experiences. 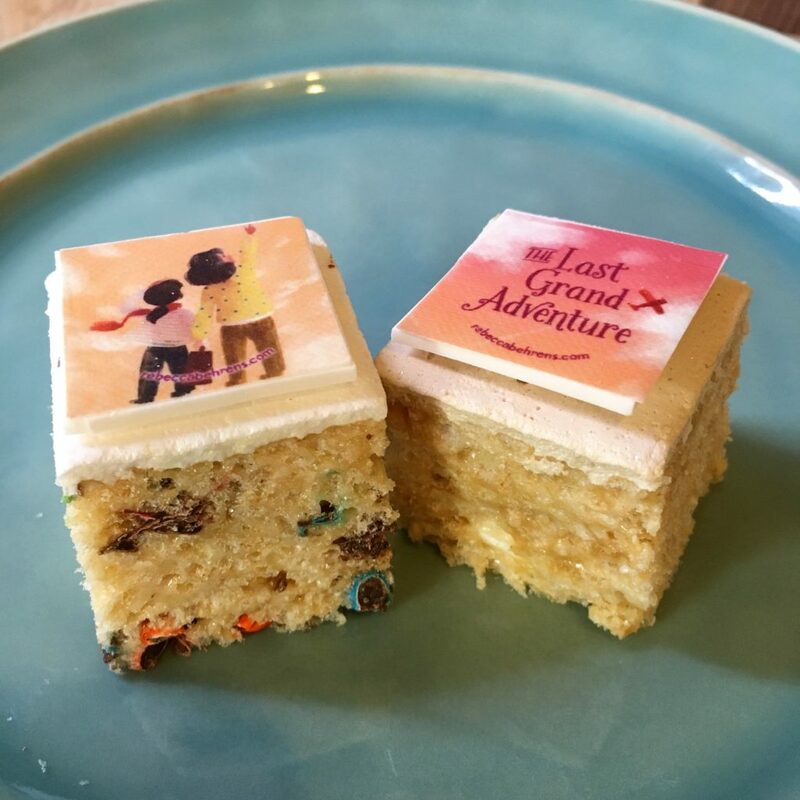 And I turned my book into Rice Krispie treats, because of course. I wonder why we were laughing so hard? 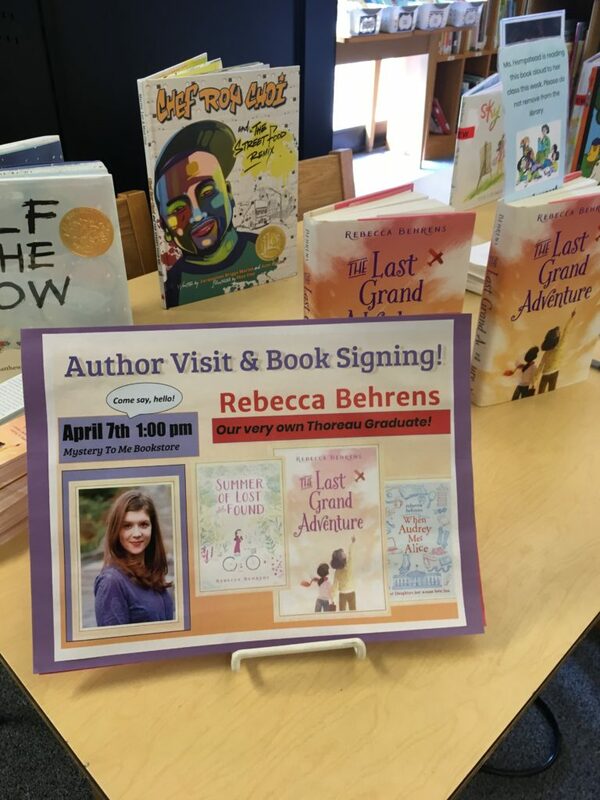 Next I hopped a plane home to Madison, WI, where I met some fantastic young readers at EAGLE School and Thoreau Elementary, my alma mater. Then celebrated the book’s release with a reading at my hometown indie, Mystery to Me. 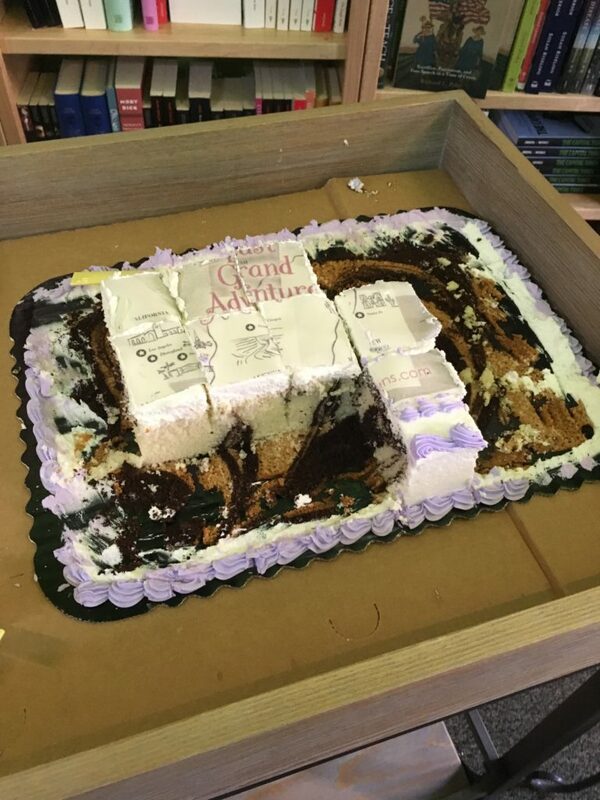 I forgot to take any pictures at this event other than this “After” one of my book cake. It was the most delicious map I have ever eaten. You can check out my Instagram for some photos and reposts of Bea and Pidge in the wild. 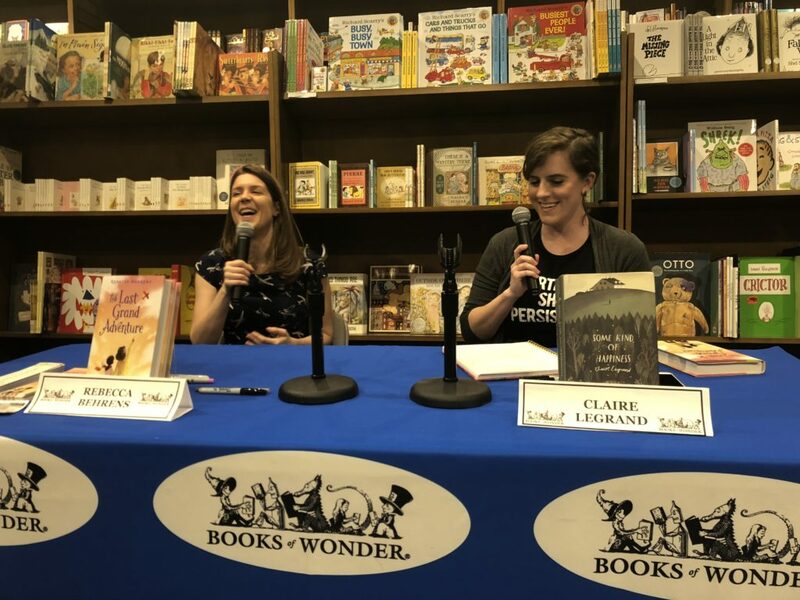 And if you’d still like a chance to have a book signed or meet me in person, I’ll be at The Voracious Reader in Larchmont as well as One More Page in Arlington, VA, this weekend. Check out my Events page for all the details! Thanks for sharing the journey with us.